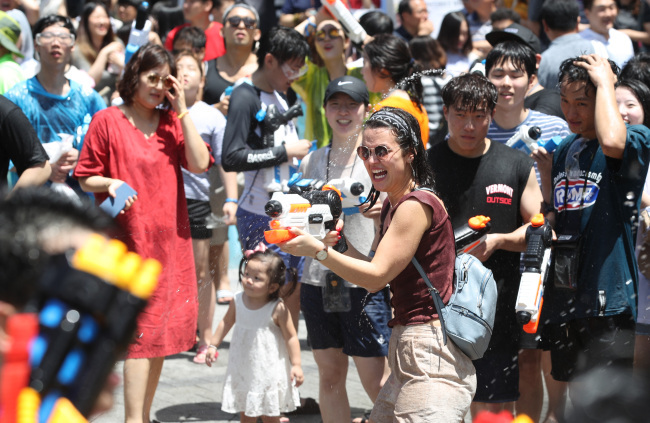 The sixth Water Gun Festival in Sinchon, Seoul, brought some much needed relief to the scorching summer heat on Saturday. 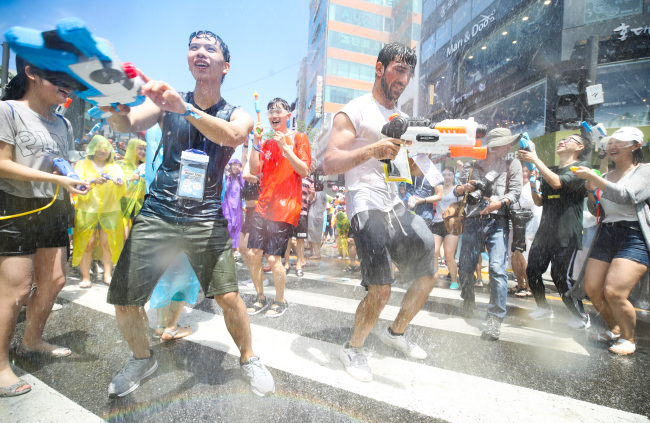 On the first day of the two-day fiesta, the main street that rolls down from Sinchon subway station to the front gate of Yonsei University was crammed with people of all nationalities and ages, armed with water guns and raincoats. 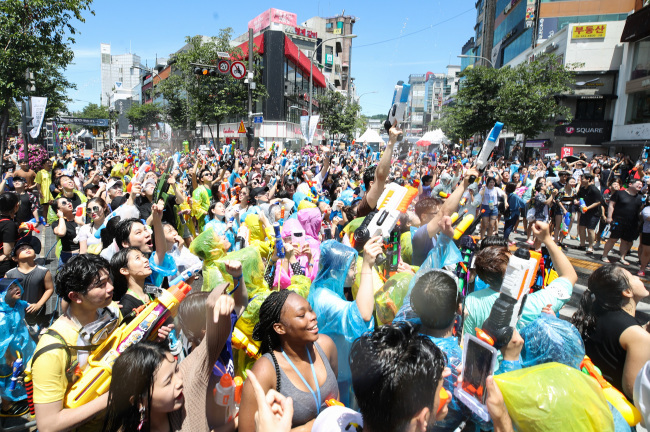 Several were dressed up as DC and Marvel’s super heroes, including the intergalactic villain Thanos of the latest Avengers movie. 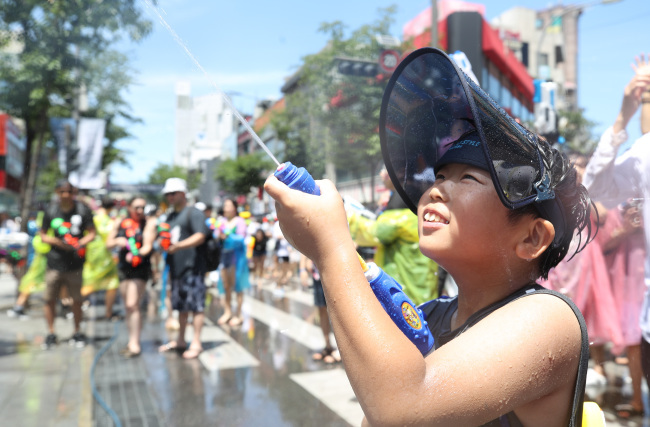 The festival runs until 7p.m. 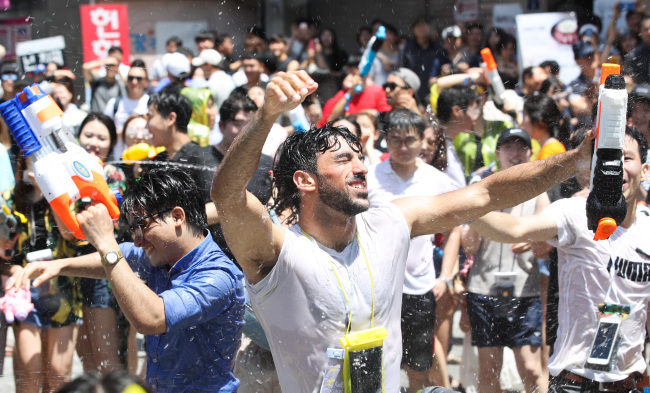 on Sunday.